i knew that "i should watch it..should!" coz i always in LOVE with this type of film..
well...i mean HORROR + PSYCHO genre..
plz dun tell this to my mom..hahahaha..
and guys..i don't know about this.. ?_? 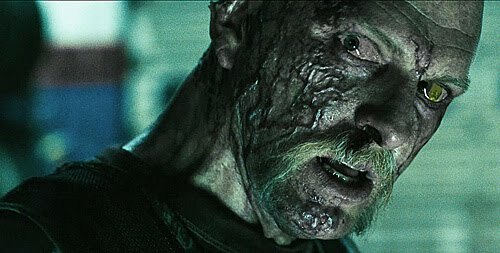 so obviously i don't watch that yet..
i think now i should coz it is really IMPORTANT to compare those film..
now the short review about THE CRAZIES 2010..
# An unexplainable phenomenon has taken over the citizens of Ogden Marsh. One by one the townsfolk are falling victim to an unknown toxin and are turning sadistically violent. 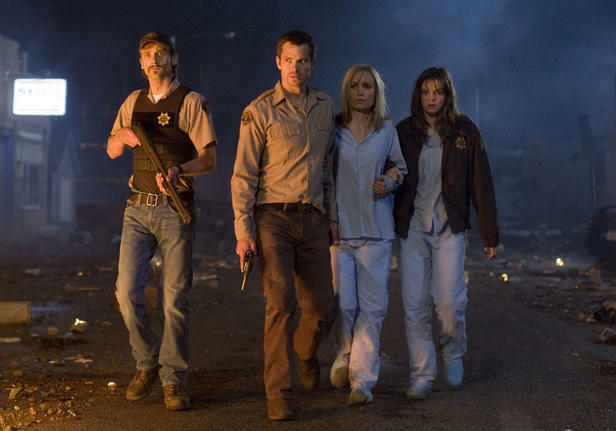 # While Sheriff Dutton (Timothy Olyphant) and his pregnant wife, Judy (Radha Mitchell), try to make sense of the escalating violence, the government uses deadly force to close off all access and won’t let anyone in or out – even those uninfected. An ordinary night becomes a horrifying struggle for the few remaining survivors as they do their best to get out of town alive. 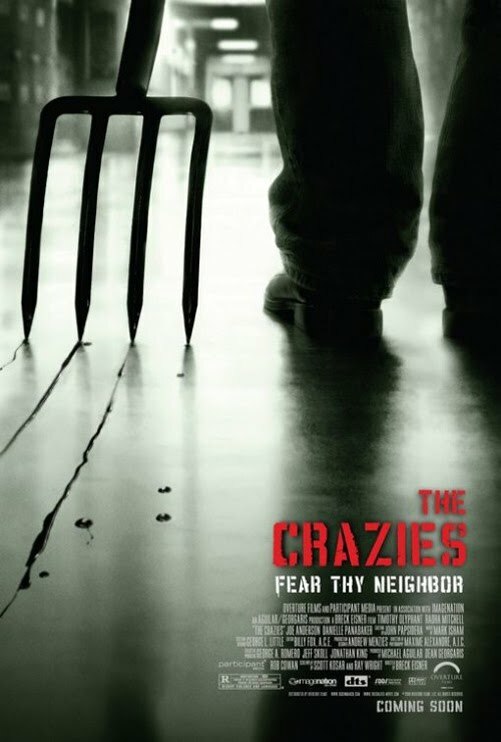 #To know more about the movie, i think you should visit the super COOL OFFICIAL website of THE CRAZIES 2010..
hemm..this film is loosing 1 stars for the credit! i watched it in the cinema..?!? and the most important here is..
this film has some common with the film THE QUARANTINE! yarr..but the scope is BIGGER..
hahaha i mean if you've watched that movie..
the 'situation' is just in an apartment rite? but in this film it was about a COUNTRY..
watch it by urself and credit it..